I’d never heard of Marie Tharp. The only woman I’d ever heard of remotely related to anything to do with the bottom of the ocean was a woman in a portrait at my parents-in-law’s house. She was named Nannie (Maury) Herndon. A member of my husband’s ancestors, her father was an oceanographer and was the man who laid the transatlantic cables which allowed telegraphs to send dispatches from New York to London, and beyond. You can read more about Matthew Fontaine Maury here. 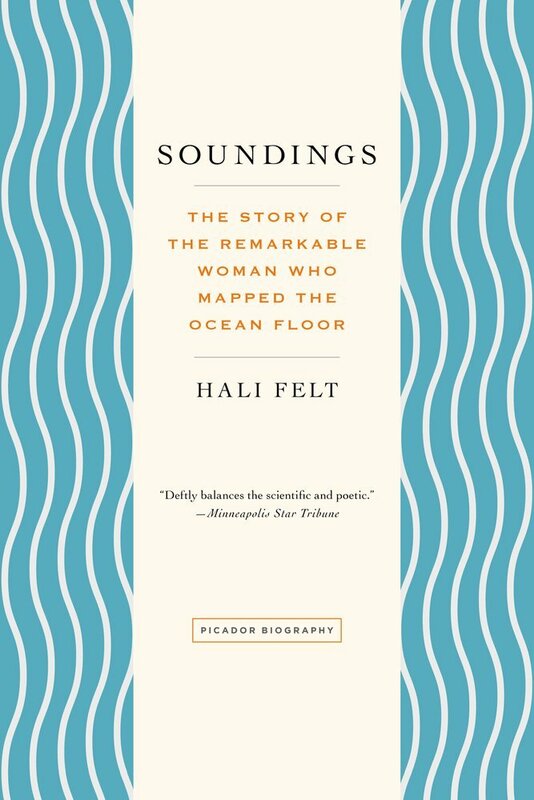 So when I heard there was a biography about the person who mapped the ocean floor — AND it was a woman — I had to know more. Marie Tharp had an unusually casual childhood. Her father worked for the Soil Bureau of the US Dept of Agriculture and Marie was the quintessential tomboy, making her own backyard excavations. She was academically intelligent throughout her life but was rather without direction. She took numerous tracks, earning bachelor’s in English and music, with four credited minors. Later, she got her Masters in geology and then another degree in math. All of these added up to a boring if somewhat stable position at Standard Oil, helping to predict the best places for drilling. 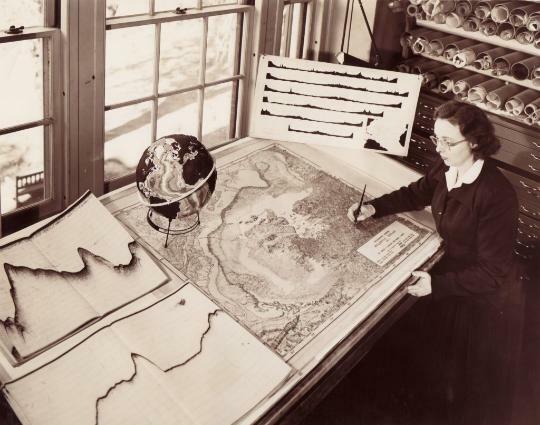 Tired of the work, and wanting to make a real discovery, she marched into the offices of the Lamont Geological Observatory (attached to Columbia University) and practically insisted on a job. Still, with all of her degrees, she was often relegated to little more than a mathematical secretary. Until she started noticing something about the data… and realized that the ocean floor also had topography. This biography not only has an unlikely subject, it also has an unusual format. While much of it is written in typical fashion, it occasionally changes tone, and tense. The poetic portions attempt to imagine Marie’s thoughts at probable crossroads in her life. I admit that it was a bit distracting at first but after a couple of “digressions”, I became used to it. It was like looking two photographs of the same thing, but taken at slightly different angles. This is a great portrait of an important person who never quite became a household name, but who should be. Many thanks to Madeline at Picador for the review copy. Oh this is really interesting! It seems like there are a few books coming out this year about historic women in science. I’m not sure if I would like that switch in tone. I find that when I read a non-fiction book about something I know nothing about or a book with a lot of information, it has to stay consistent for me not to get lost. But the subject of this book sounds pretty interesting anyways!